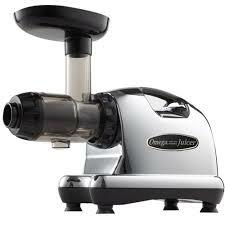 We get many customers calling regarding the differences between many of the juicers we carry. Recently Omega released a new series of juicers which is the NC800HDS (Silver), NC900HDC (Chrome Plated), and HD800HDR (Red). They are all the same juicer except for the colours – basically this is the NC series. The older series is the 8006 (Chrome Plated) and 8004 (White) – same juicer but different colour. For simplicity we will be comparing the NC900HDC to the Omega 8006. By the way, the NC series does not come in white – at the time this was written. Both Juicers have the same characteristics below. Excellent for leafy greens and good with fruit. Come with a blank homogenizing screen. Are slow juicers 75-85 RPM. Have the same accessories for making pasta, nut butters – 6 nozzles and 1 juicing screen. Same 8x Stronger GE Ultem Auger. NC900 has a much larger opening 1.5 x 2″ on the top to feed your food through (this is a huge factor). About twice as large compared to the 8006. Less cutting of veggies. NC900 has a pulp adjustment knob/end cap on the front end to adjust the juicing pressure inside the machine. What this does is allow you to add more pressure so the pulp ends up staying inside the machine longer so that you can get more juice out of the food. NC900 has the feeder chute and top round piece molder together. The collection juice and pulp cups are larger on the NC900. The screen is larger on the NC900 and the augers are a not exactly the same but look similar. 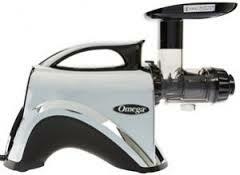 Omega says that the yield is 7-13% more on the NC series juicers. The NC series juicers are a bit more expensive but well worth the extra money for the larger feeder chute and pressure adjustment knob. They are definitely highly recommended for juicing leafy greens and do well with most fruit. They are the most versatile machines on the market and are similar to the 8006/8004 or any of the other 8000 Series Omega juicers. Either way you can’t go wrong with any of these models – whether it be the NC series or 8000 series. If you need more info, give us a call toll free 1-855-729-8341 or visit our website www.upayanaturals.com.